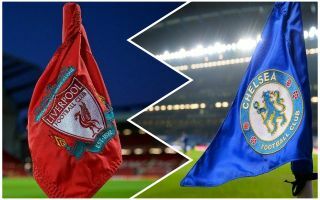 Both Liverpool and Chelsea have released statements, condemning the ‘vile’, racist chants by some Chelsea fans towards Reds star Mo Salah, a video of the chant surfaced earlier today. Some of Chelsea’s fans who travelled to support their club against Slavia Prague in the Czech Republic tonight, were filmed chanting “Salah is a bomber”, the disgusting behaviour from these individuals has sparked uproar across the football world. Chelsea revealed in their statement that they would take “the strongest action possible” towards fans involved in the incident, the Blues later stated that “Such individuals are an embarrassment to the vast majority of Chelsea supporters who won’t tolerate them in their club”. There’s no doubt that the build-up to Sunday afternoon’s meeting between the two sides will now be centred around this incident, it’s completely and utterly disgusting to see vile, racist behaviour in 2019. This is the latest in a string of racist incidents involving Chelsea supporters this season. The club must enforce stricter punishment to fans and should focus on finding ways to prevent this kind of behaviour at there matches in the future. Something needs to change in football, as these despicable acts of racism have been happening more often recently.